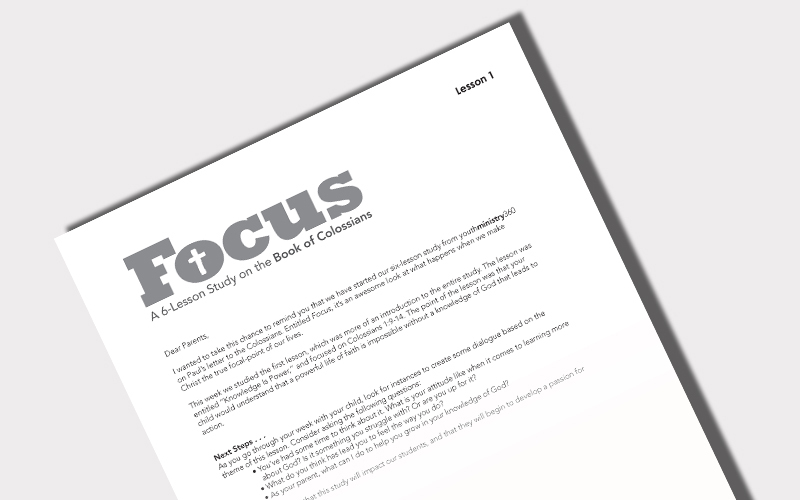 Focus, a 6-lesson study, teaches your students that Christ is to be the focus of who they are, the very center of their attention and affection. Teach Focus to help your students' lives reflect a single-minded devotion to Christ. The world in which your students live is often a noisy and chaotic environment. And yet, this is the very environment in which they must fight to shape their identities. Where can they turn for an anchor in the midst of the chaos? Paul's letter to the Colossians provides the answer: the person of Christ. Focus will teach your students that Christ is to be the focus of who they are, the very center of their attention and affection. 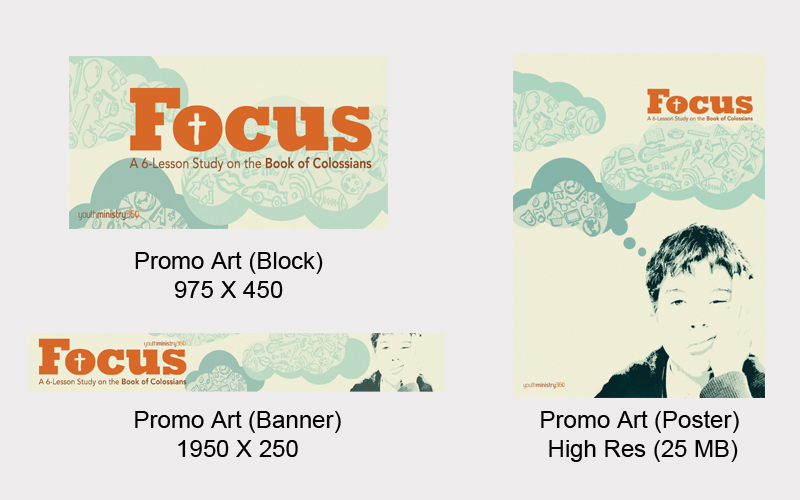 Teach Focus to help your students' lives reflect a single-minded devotion to Christ. • Focus includes some incredible features; sample them all below. • Focus is not a video-based curriculum. 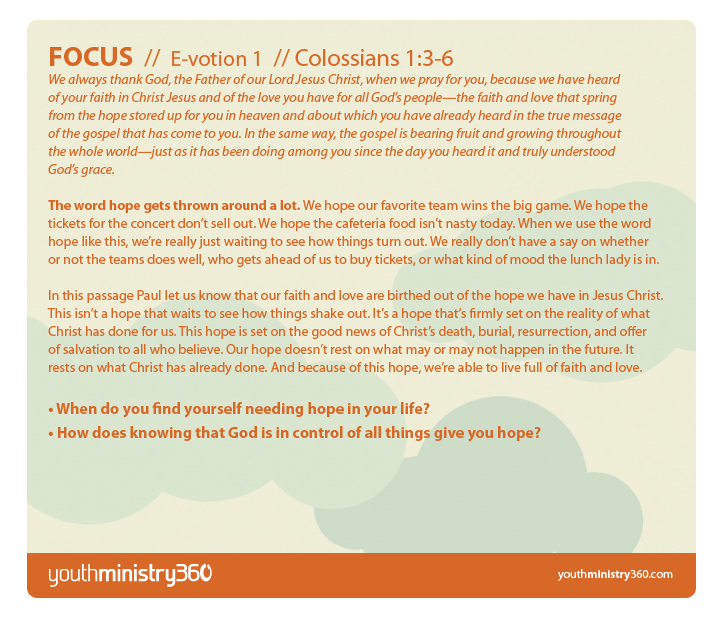 The heart of Focus is you (or a leader) teaching the Bible to students using the Focus curriculum. Each lesson in Focus includes interactive media of some sort. Three of Focus’s six lessons begin with a short illustration video like this one to grab your students’ attention and get them ready to engage with the lesson. Each Focus lesson comes with an editable PowerPoint slideshow so you can tailor your presentation to any changes you make in the Lesson Plan. Partnering with your students’ parents to disciple their children is vital. 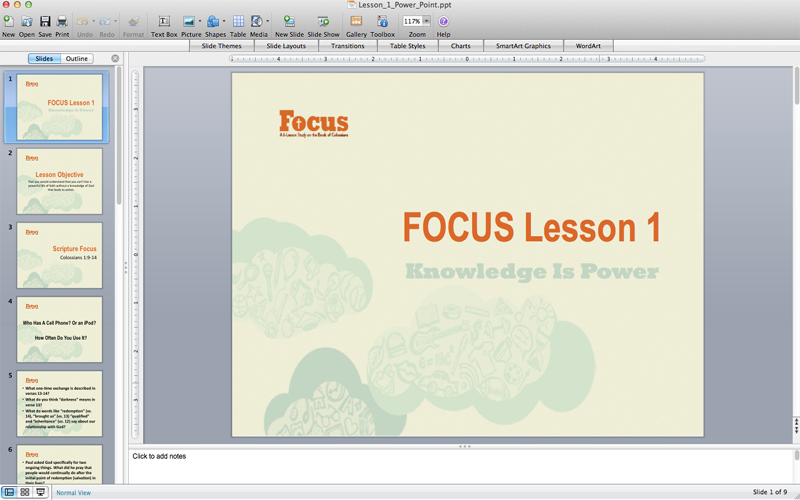 That’s why Focus is complete with Parent Pages in Word and PDF format for each lesson. Each Focus lesson features a Teacher Prep Video, short videos that guide your teachers in exactly what to focus on in their lesson preparation. 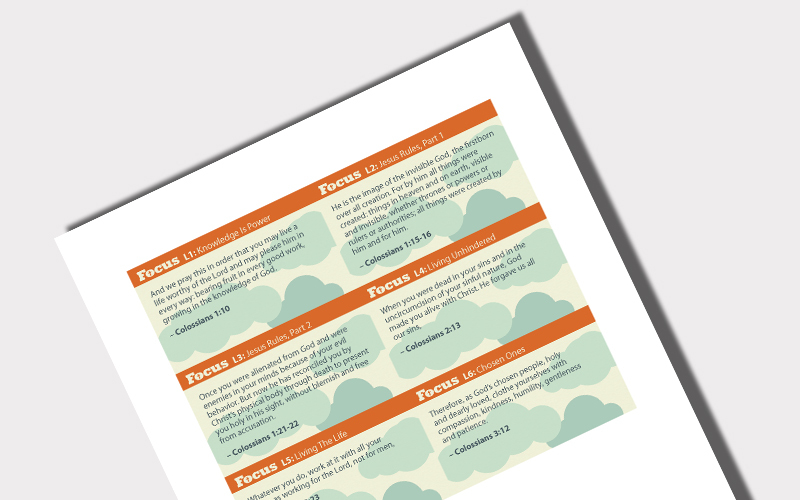 Focus includes a one-page PDF of creatively designed memory verse cards that correspond with each of the six lessons. 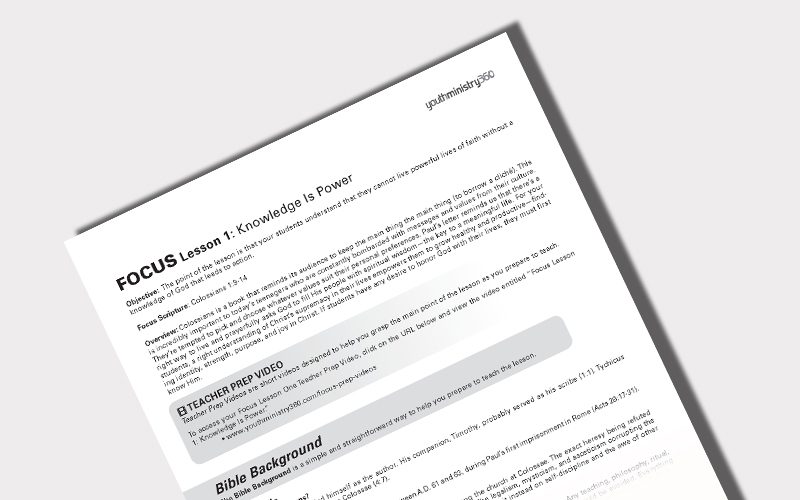 Focus comes with digital files to help you promote your six-week study on the web or around your church. WHAT IS A CD BACKUP? A CD Backup is an exact copy of the digital curriculum you've downloaded. You will receive 2 discs -- one will be the Lessons Disc that will include all your lesson materials, student guides, and more; the other will be the Media DVD that will include your lesson video content. WHY SHOULD I BUY A BACKUP? The CD Backup purchase will provide you with an exact copy of all your downloaded curriculum files. This provides you great flexibility between your church and home. It also provides peace of mind that you'll always have a hard copy in the event your computer crashes or just doesn't perform well with large files. Your order will go out within 24 hrs of purchase with varied shipping times. Usually all orders from our warehouse deliver within 5 business days. In order to have a great experience, you're going to want to make sure your computer will play both CD's and DVD's. If your computer will not play either or both of these, you'll need to have access to a computer that will. Need additional help? We're honored to help. CHAT WITH US: Locate the CLICK TO CHAT option at the top of this page.